My Farm Life HD storywise, does not revolve around your usual girl-inherits-family-business-and-must-turn-it-around premise. Here, the star of the show (literally) is an aspiring actress who signs up not knowing she is to manage a real farm, where she is being watched by the whole world, Big Brother style. To make things interesting, the producers even hired farm hands to steal crops at night, among other twists. Can you spot the thieves? As soon as I fired up the game, one can spot My Farm Life HD's similarities to Ranch Rush, which are pretty obvious, from the graphics to the mechanics of the game. 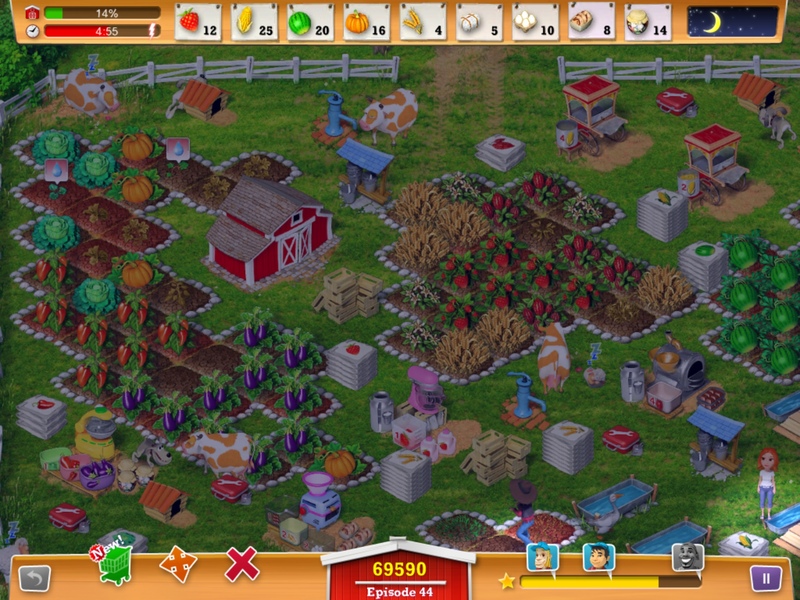 In this game, you plant and harvest crops,raise farm animals to produce milk, wool and the like, and put them all together to create more products and sell your goods to the market. At the same time, you need to maintain enough resources to keep your crops going – soil dries up, water runs out and a bag of seeds can only be planted so many times. 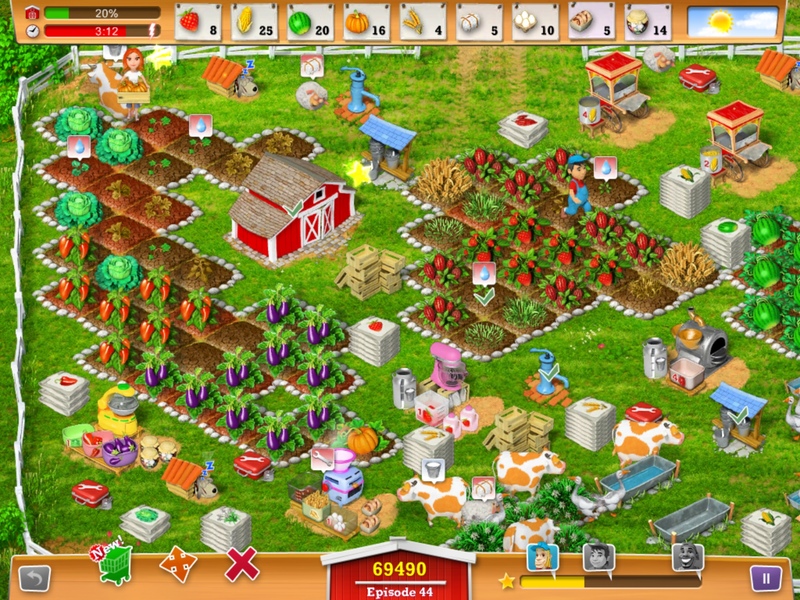 Thus, My Farm Life HD, much like Ranch Rush, calls for uber efficient skills in resource management and beating the deadline. My Farm Life HD, however, takes it a step further by incorporating a lasso mini-game, a night market that is sort of a short cut for you to buy some items instead of producing them, helpers that function as power-ups, and hired thieves to keep you busy guarding your crops and animals. These little twists provide an enjoyable twist to the Ranch Rush formula and adds a layer of strategy. For example, to be able to call on additional farm hands you need to repeat tasks consecutively to increase your ratings and earn enough stars to activate a farm hand. It's pretty hard to get expert ratings on all levels, and further into the game, you might find it difficult to even finish a level with all the things you need to produce. This means it's important to plan at least a level ahead to set things into motion and to use power ups wisely. More importantly, since you plan each square of soil individually and can place machines, equipment and animal houses wherever you like, you also have to create an optimum layout of your farm. The only quibble I have with My Farm Life HD is that much like its spiritual successor, Ranch Rush, the controls are a bit cumbersome to deal with when creating a desired farm layout. You can't rotate objects to maximize your layout, and tapping on one item while playing results in tapping on a different thing. The same control quirks present in Ranch Rush are the same here. Hopefully future iterations of the game will offer a better control system for moving items around. 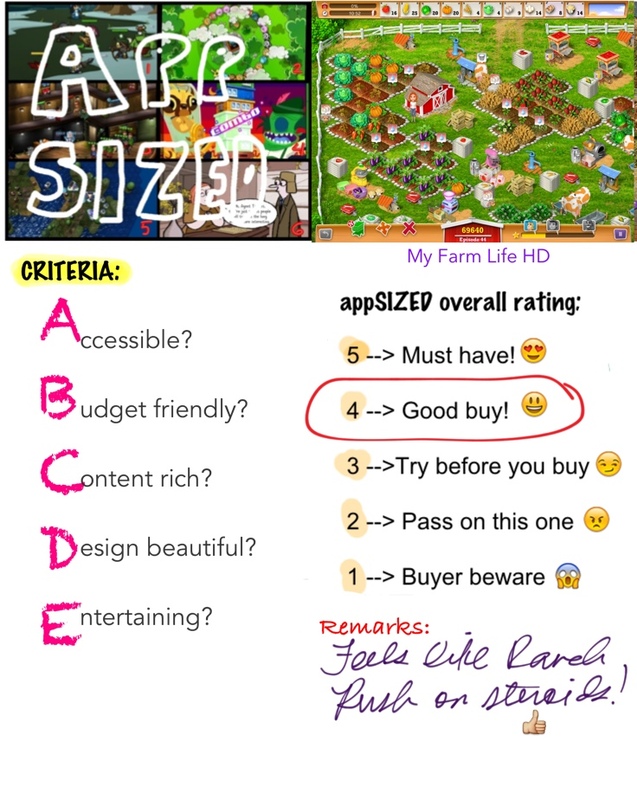 All in all, My Farm Life HD is a solid time management game that boasts of crisp, colorful and polished graphics, with fun and challenging gameplay to keep you occupied. If you loved the Ranch Rush series, then there is no reason for you not to get this game. For its price, you get loads of entertainment and replay value more than the usual and pricier time management games. 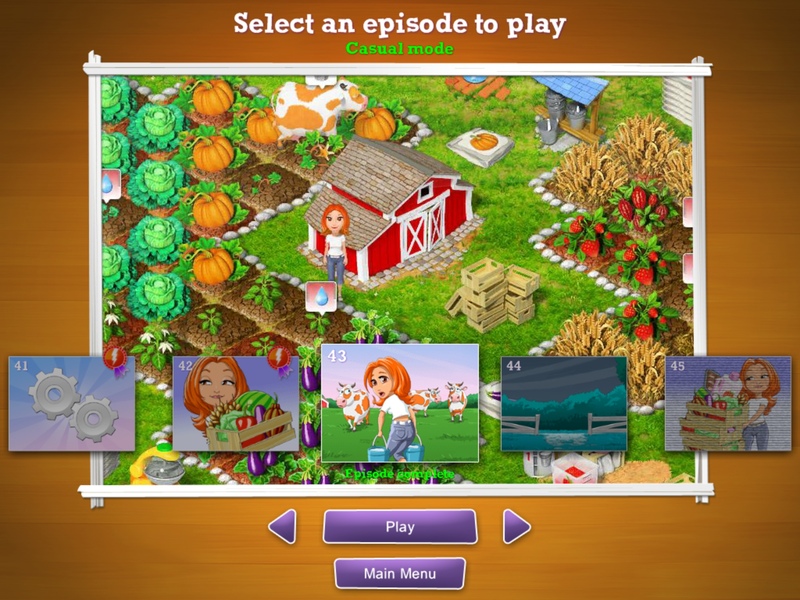 If you are new to the genre, then My Farm Life HD is also an excellent place to start. 4 out 5 on appSIZED!